Home / News / Trending Article / Trending Events / Trending News / Trending Updates / Updates / Viral / Viral Article / Viral Events / Viral News / Viral Updates / AirAsia owner may Napakagandang Mensahe kay Pangulong Duterte "I found him warm and down to earth... A real man of the people!" 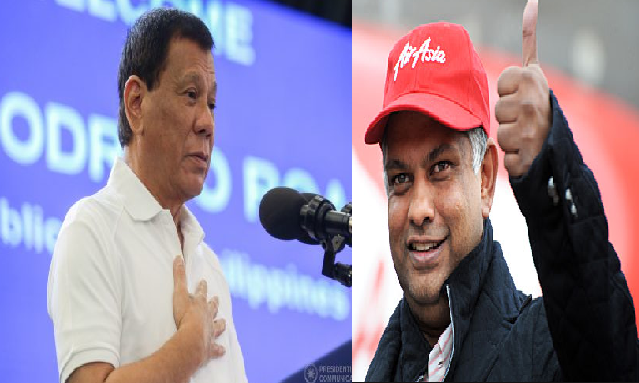 AirAsia owner may Napakagandang Mensahe kay Pangulong Duterte "I found him warm and down to earth... A real man of the people!" 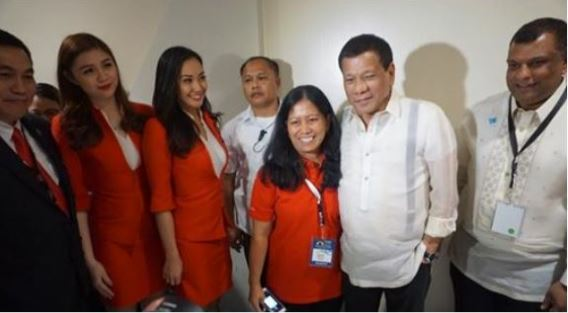 Malaysian businessman, Tan Sri Tony Fernandez received a lot of appreciation from many netizens for saying good things about Philippine President Rodrigo Duterte and for making his Filipino helper’s wish come true, whom he considered a family member. Mr. Fernandez, who introduced the first budget no-frills airline to Malaysians and now the owner of AirAsia has recently shared a story on his Facebook post. “Annie my Filipino helper has been with me for 25 years. Practically family. She is a huge fan of President Duterte. Her father's dream was to meet any president of his country. He sadly never made it but I got Annie to meet her leader. There has been lots of press about President Duterte but I found him warm and down to earth. He went out of his way to take pictures with Annie and I could see he cared for her. A real man of the people.” Tan Sri Tony said. Others were also inspired by how humble this guy Tony Fernandez was and he even tried his best to reply to some of the commenters on his post. Tony Fernandez replied: "We can meet. When are you free"
Someone also commented expressing how he regretted that he did not take the opportunity to take a picture with Mr. Duterte.